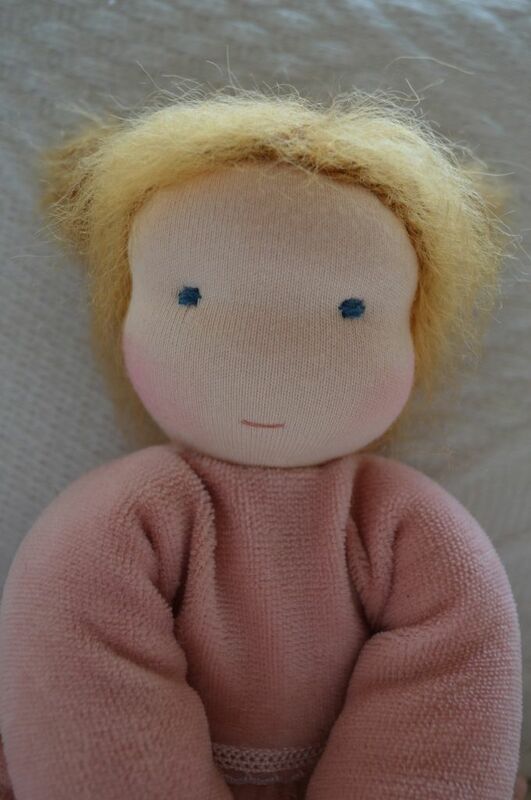 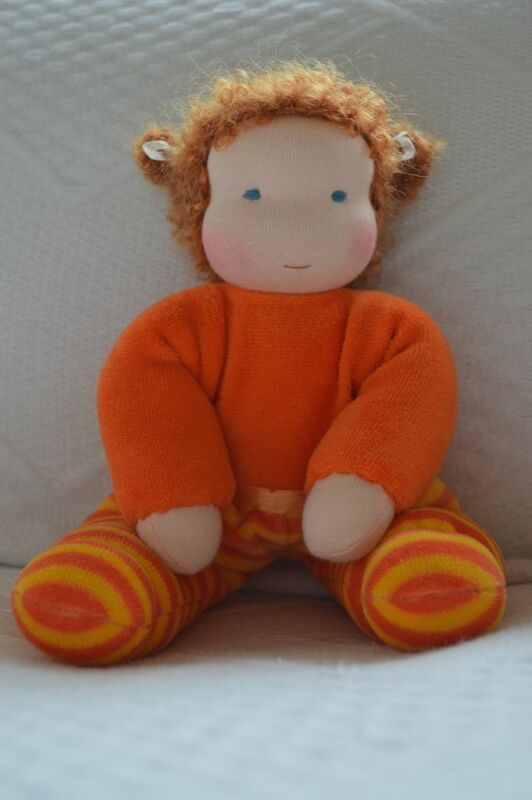 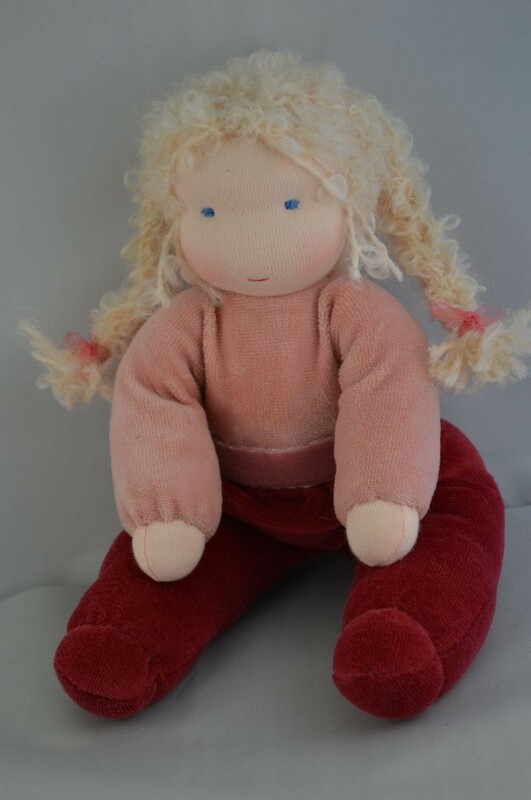 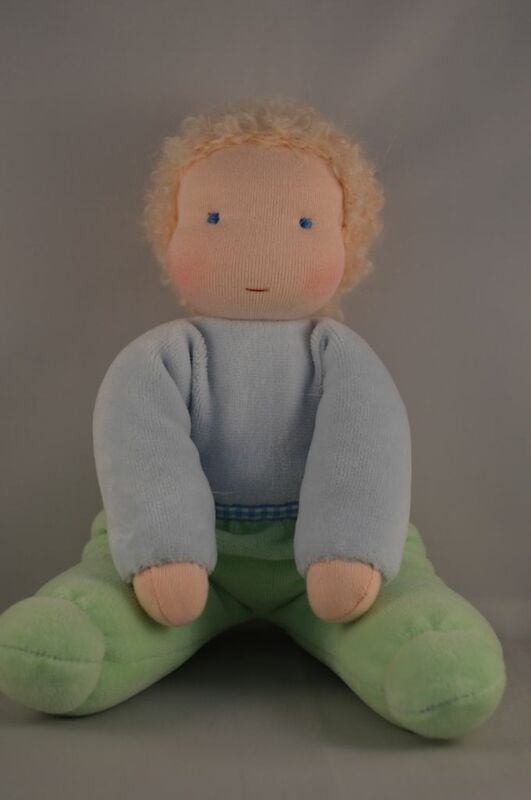 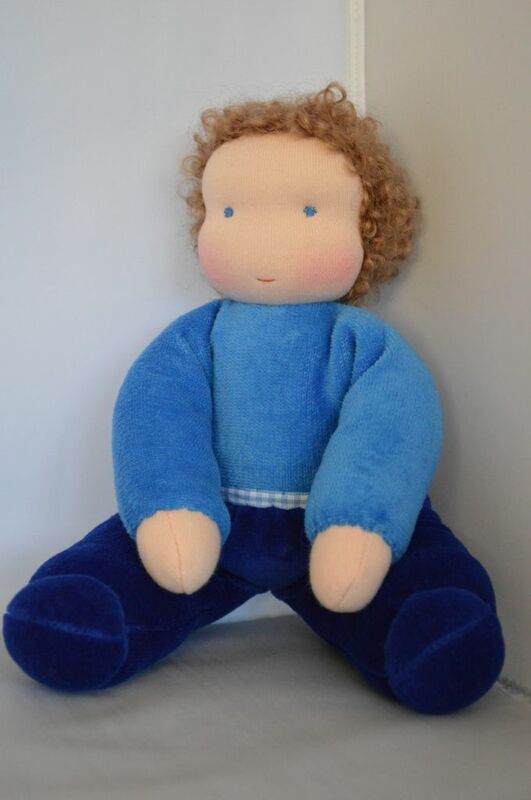 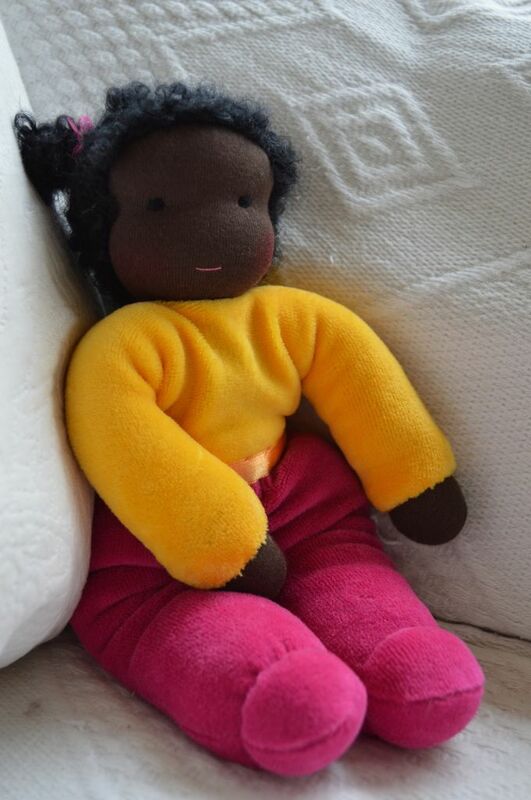 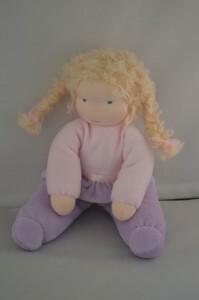 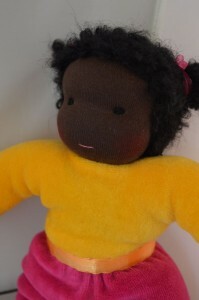 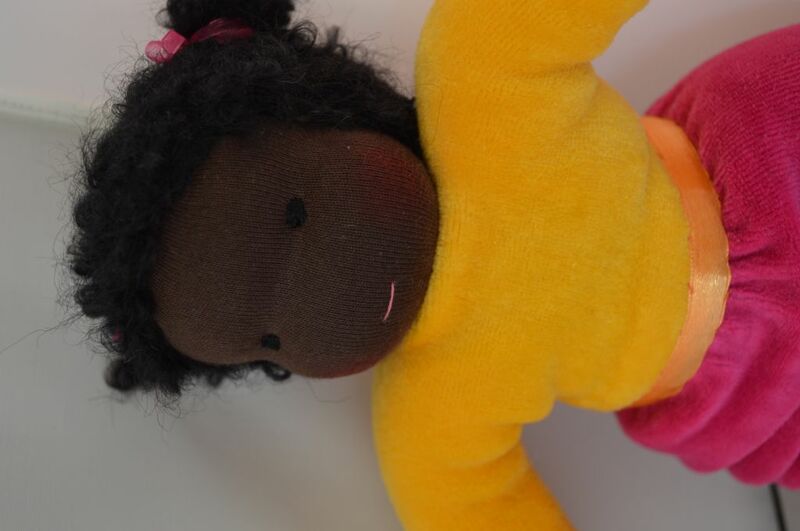 This cuddle doll was made for a very happy little girl. Two very different cuddle dolls I made recently. 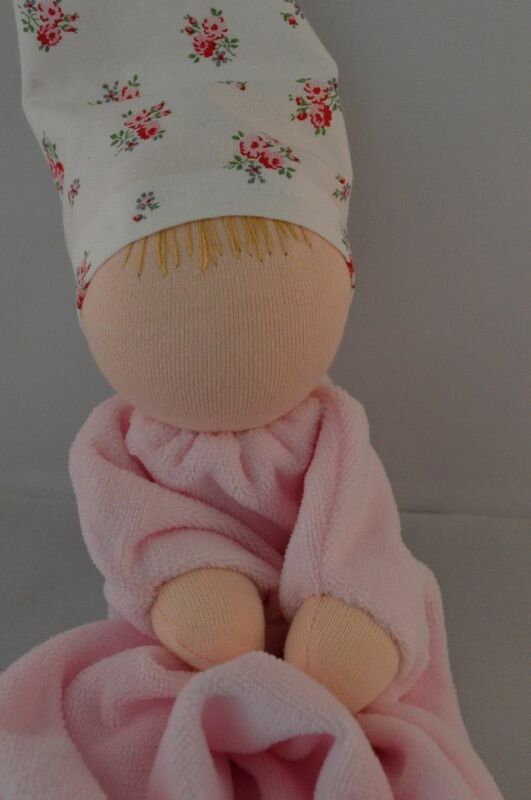 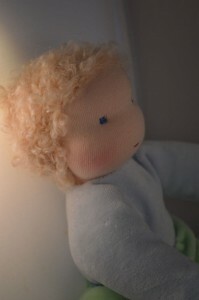 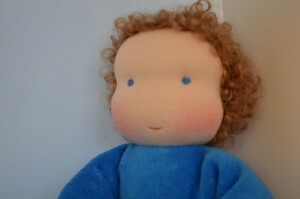 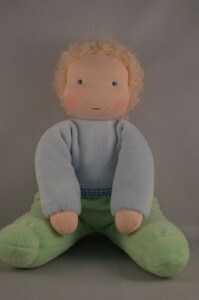 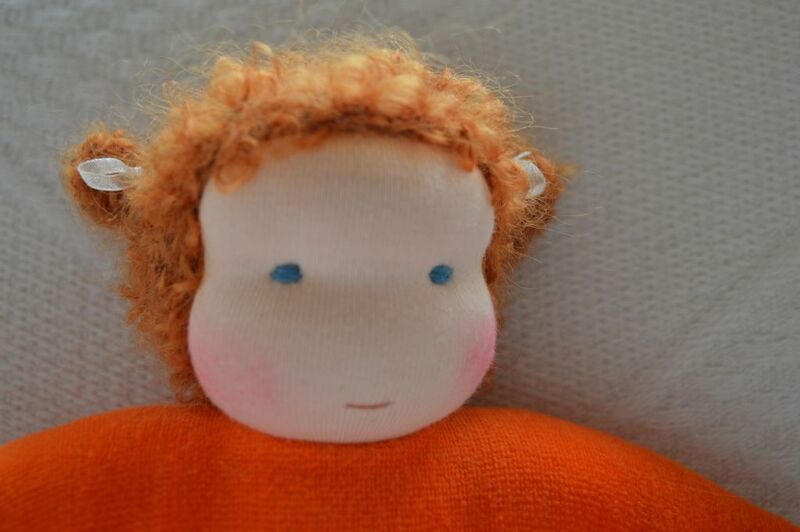 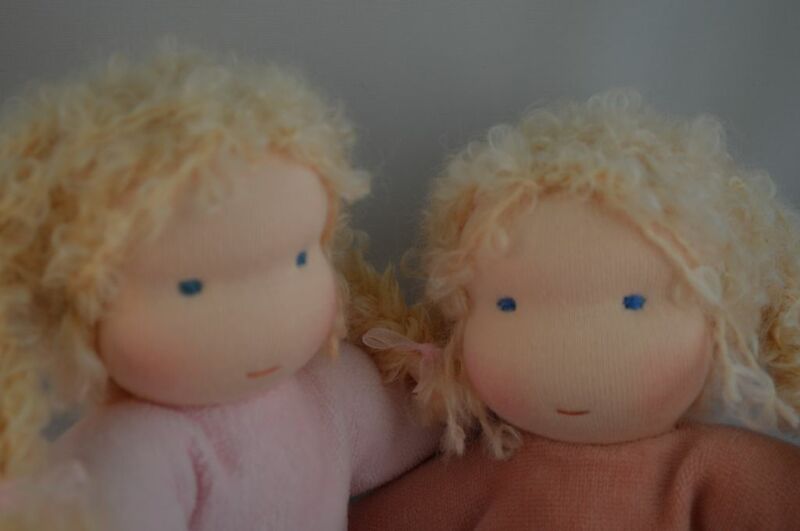 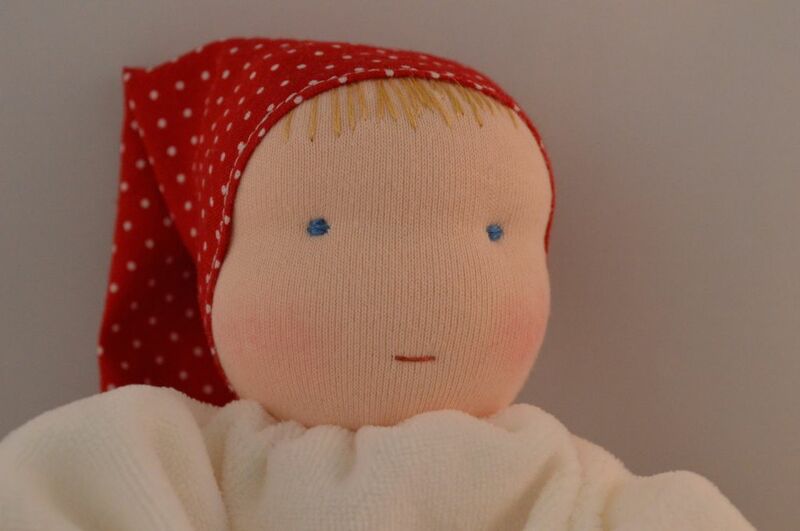 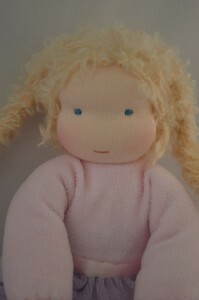 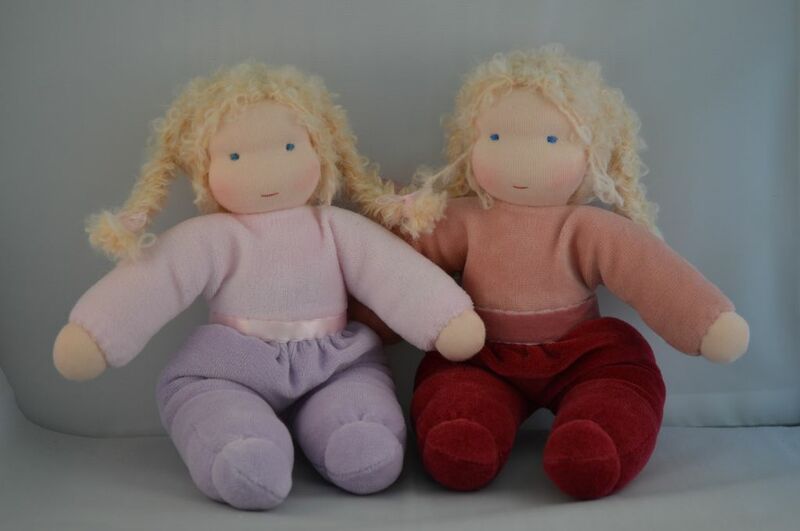 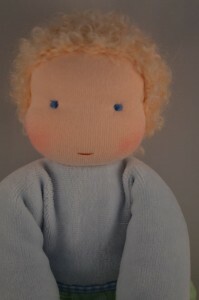 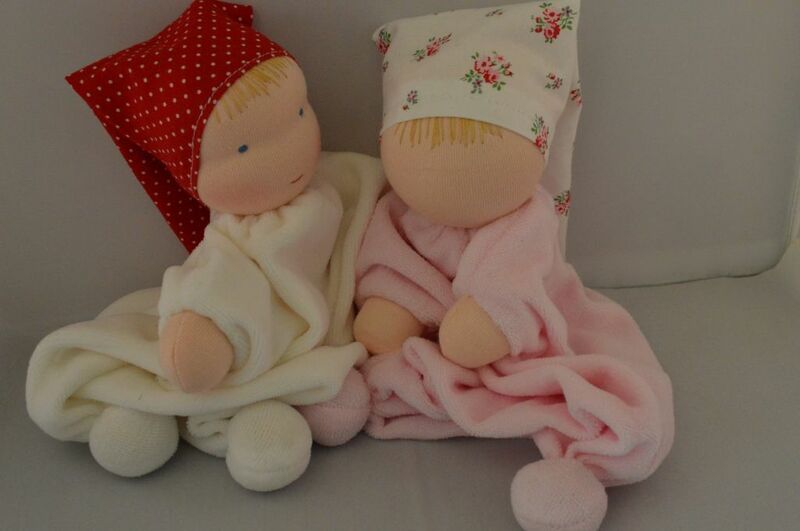 These dolls are very suitable for young children, I made one in the Waldorf tradition, without facial features. With the other doll I did add eyes and a mouth. 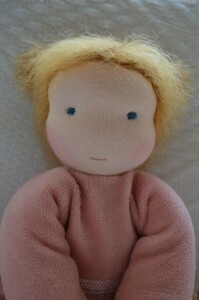 Just finished two girls and a little boy, all summer blonde. 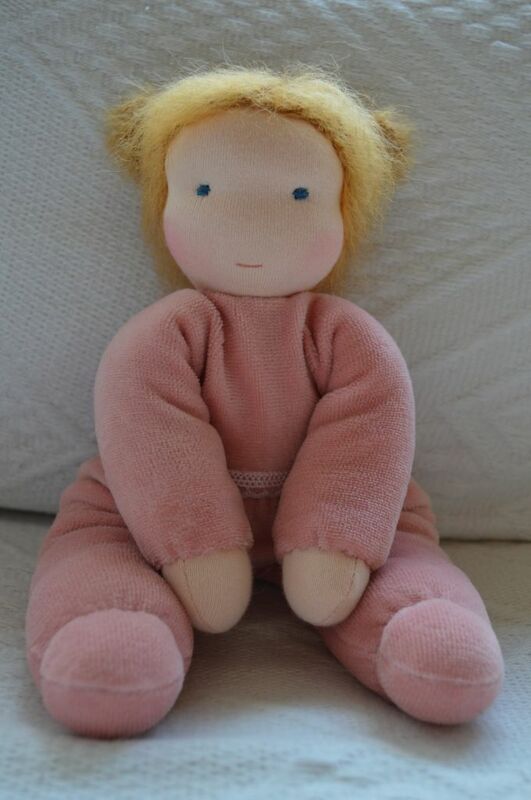 All of them were custom made.